Anne is a highly experienced CMO with deep management experience in leading matrix teams and building business. From 2009 - 2017 Anne was SVP Sales Marketing & Ad Technology, BBC Advertising. BBC Advertising is division of BBC Worldwide that handles the BBC's commercial business outside of the UK. She was responsible for the global proposition and positioning of BBC Advertising and leading the Advertising technology strategy driving ad systems product development across BBC World News and bbc.com. 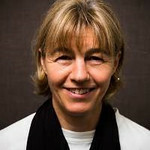 Prior to the BBC Worldwide, Anne spent several years in senior international management positions within commercial organisations including Microsoft (MSN), systems integrators Getronics (acquired by KPM Telecom), PwC, British Airways, BT (British Telecom) and Benetton, working closely with teams in Hong Kong, Seattle, New York, Paris, Brussels and Amsterdam. Notable achievements during this period were the creation of the brand propositions for PwC following the merger of Price Waterhouse and Coopers & Lybrand, and World Traveller at British Airways replacing Economy. Anne was Vice-Chair of the Executive Committee of IAB Europe, the trade body for online advertising based in Brussels, from 2013 - 2017. She is a graduate of Durham University, where she gained a BSc in Geography and is studying for an MA in Leadership and Sustainability at IFLAS at the University of Cumbria, specialising in the principals of mutuality and democracy. Anne is currently taking time out to learn about block chain in the context of transparency and trust and explore how it can be used within the ad supply chain and the consumer experience through sovereign identity.